With the growing popularity of Ironman distance triathlons, Empire Tri Club has decided to host a lecture series, covering the most important topics you NEED TO KNOW to complete an Ironman. 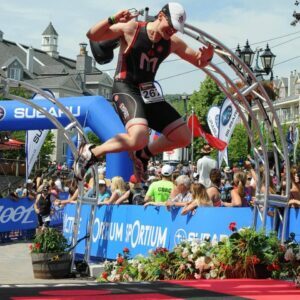 This series of 5 one-hour lectures will cover important IRONMAN topics including periodized training, nutrition, sleep, equipment, pacing, mental strategy, goal setting and more. Each session will end with a Q&A with the coaches. An Ironman is a commitment. You are devoting almost a year of your life to this race, thousands of dollars, and literally your blood, sweat and tears. Don’t you want to show up to the starting line prepared? Join the experts and learn everything you need to stay healthy and motivated to have your best race. This program is discounted for Empire Tri Club Members. Additionally, athletes on a Silver Coaching Package can attend the series for half price and athletes on a Gold Coaching Package can attend the entire series for FREE. Each session will be recorded, so if you can’t make it in person, you can still get all the information.